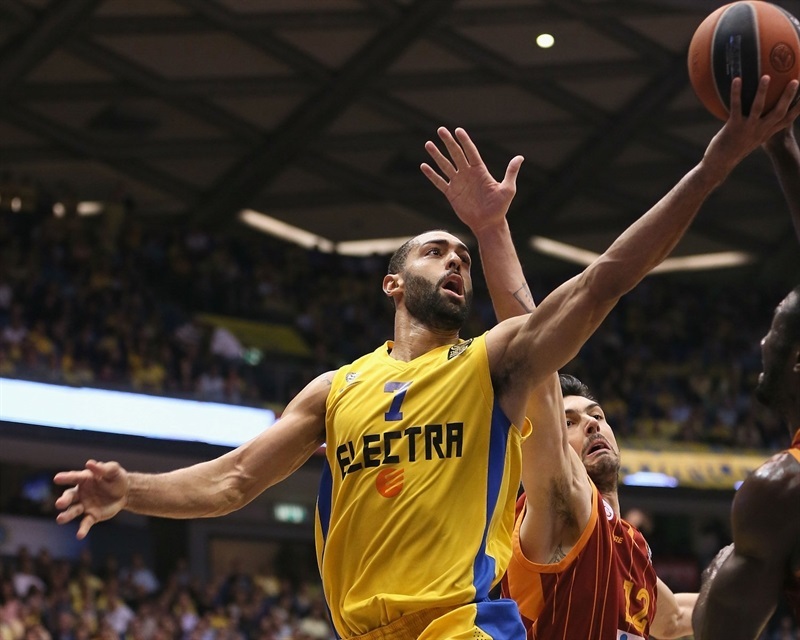 Maccabi Electra Tel Aviv outlasted Galatasaray Liv Hospital Istanbul for a hard-fought 81-72 victory which the champs had hoped would be enough to reach the playoffs. After the final buzzer, the home team raced to watch the second half of Panathinaikos vs. ALBA Berlin. Had the Greens won, Maccabi would have advanced to the playoffs. 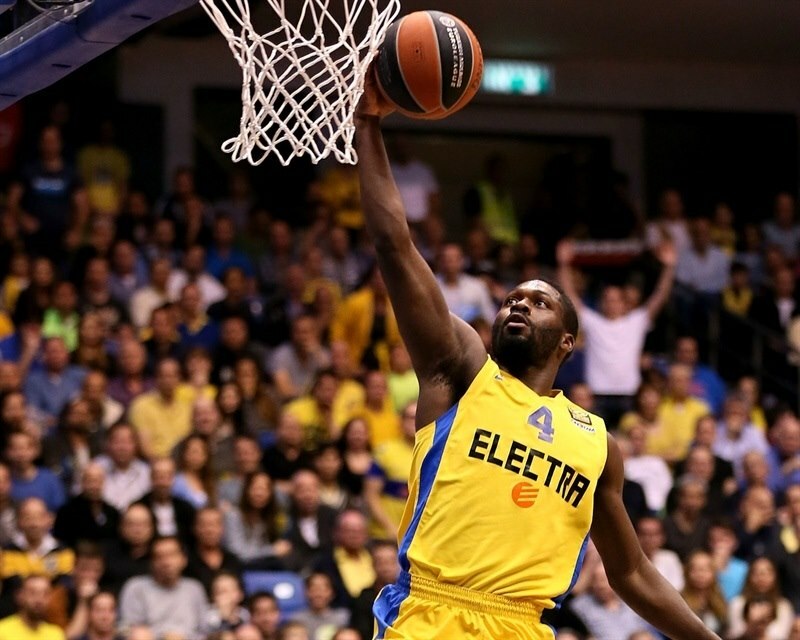 But ALBA’s 2-point victory sets up a clash in the German capital next week between Maccabi and ALBA with only the winner assured a playoff spot. 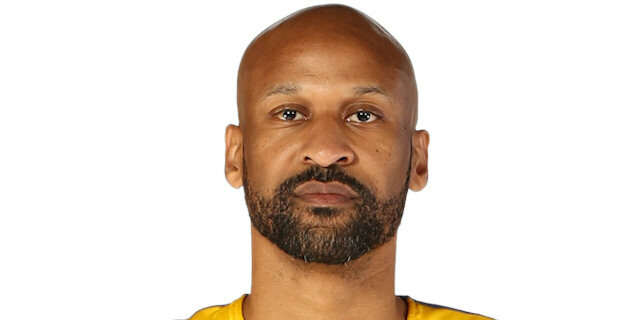 The game at Menorah Mivtachim Arena was close for much of the night and Galatasaray tied it at 58-58 on a Justin Carter slam early in the fourth quarter. However Devin Smith scored twice in a 10-0 Maccabi response and the champs never let Galatasaray closer than 6 the rest of the way. 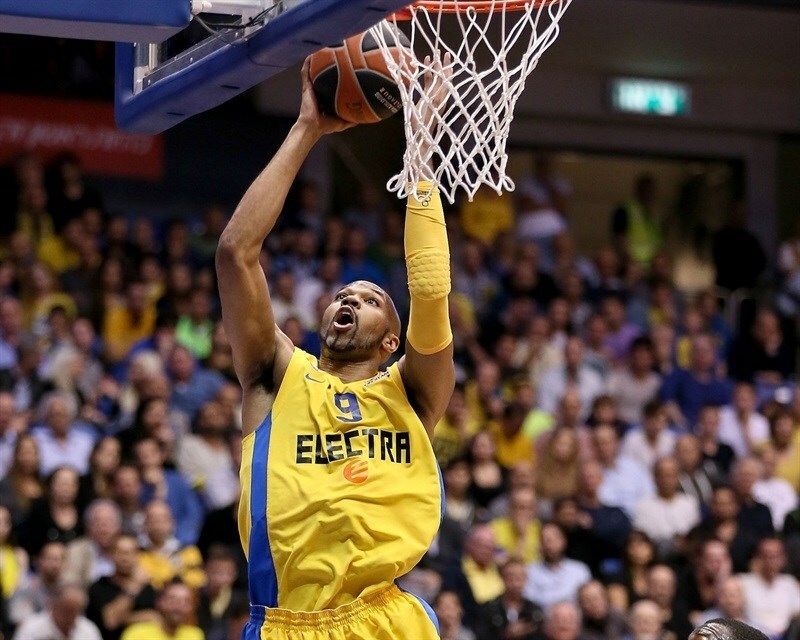 Smith led Maccabi with 22 points, 8 rebounds and 5 assists. Brian Randle scored 19, Alex Tyus added 17, Nate Linhart 10 and Jeremy Pargo totaled 9 points and 8 assists. Kerem Gonlum paced Galatasaray with 18 points and Carter added 12. Neither team scored in the first minute with their respective centers, Sofoklis Schortsanitis and Patric Young, each blocking shots in the paint. Randle got the hosts going with a put-back slam off a missed MarQuez Haynes three-pointer and an alley-oop slam assisted by the same Haynes. In between, Gonlum got Galatasaray on the scoreboard. Randle continued a fantastic start by taking a rebound coast to coast for a slam. Gonlum split free throws and backed down Smith to keep the visitors close. Ender Arslan’s floater gave Galatasaray its first lead, 6-7. Randle attacked the rim for his fourth slam. Pargo added a floater and Smith drained a three as the hosts took charge. Smith stole the ball from Martynas Pocius and Pargo finished the break with a layup to cap a 9-0 run. After a timeout, Young ended the Galatasaray drought. Pargo answered with a nifty drive and bank shot. Tyus dunked with authority to give the hosts a double-digit advantage, 19-9. Young matched him with a one-handed throw-down at the other end. Gonlum took advantage of a mismatch on Haynes for a basket-plus-foul to bring Galatasaray within 5. Smith fed Tyus for an alley-oop layup, but Ender Arslan’s pull-up three in transition was followed by a Pocius triple to close the gap to 21-20. Tyus revived the champs with a jumper, but another Arslan three tied the score at 23-23. Vladimir Micov got to the line and put his team in front. Justin Carter connected from downtown to make it 23-27. 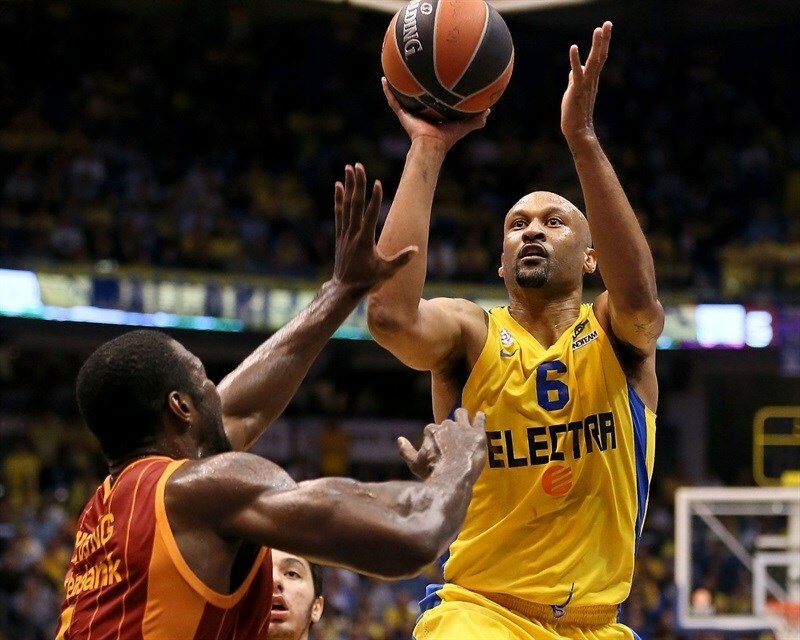 Linhart got Maccabi going with a three for the team’s first points in nearly four minutes. Linhart’s layup then put the hosts ahead, but Young responded with a baby hook. Linhart assisted a cutting Tyus for a slam. Kristijan Nikolov’s layup made it 30-31 midway through the quarter. Smith provided a highlight with a defensive rebound and assist to Tyus for a slam, but Carter drove baseline to put the visitors back on top. Pargo’s next assist was for a Randle slam. Smith added free throws, but teenager Gokturk Ural responded with a jumper. Linhart was blocked from behind by Ege Arar, but moments later he dunked on the break. Nikolov and Smith traded threes before Gonlum finished the half in style. He dunked and then hit a last-second jumper to bring Galatasaray within 43-42 at the break. Big guys Randle and Gonlum each scored early in the second half. 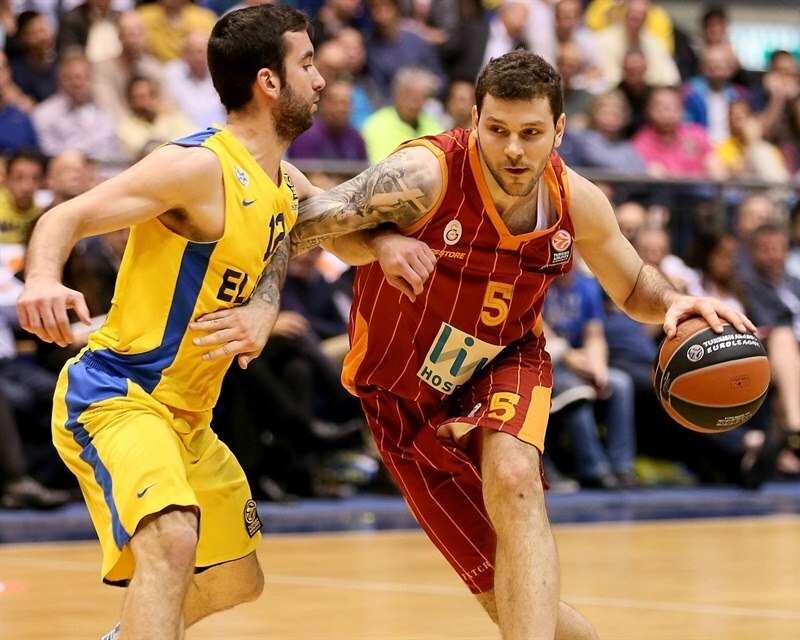 Micov drove for a layup to give the visitors a 45-46 edge. Smith came up with a steal and an uncontested layup. Pocius responded with a three-pointer. Both teams struggled offensively in the quarter. Randle fought for a rebound and basket to put the hosts up 50-49. Smith followed up with a three. Maccabi put pressure on young point guard Nikolov, who turned the ball over on consecutive possessions. Carter scored to narrow the gap to 2, but Smith reeled off the next 5 points. Young dunked on the offensive glass to keep his team in the hunt at 58-53. An Arar triple drew Galatasaray within 2. 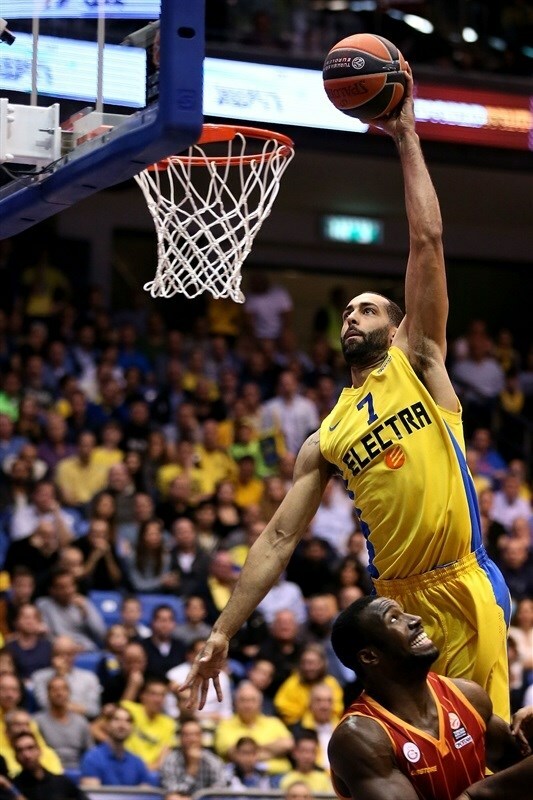 Then Carter tore through the Maccabi defense for a slam that tied the game at 58-58. 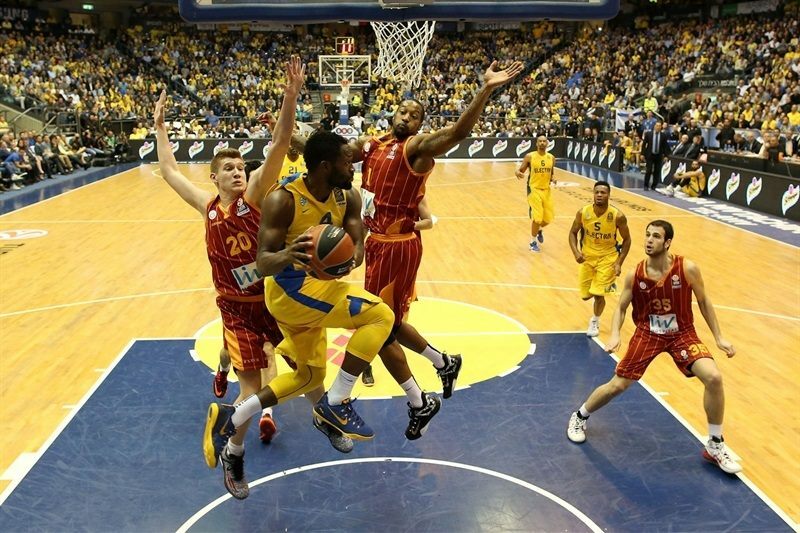 Pargo rescued the hosts with a three from the corner. Smith added a floater off the glass to recreate a 5-point cushion. Carter soared for a pair of offensive rebounds, but his team did not convert. Instead a Linhart triple and Smith floater made it 68-58. Threes by Ural and Carter kept Galatasaray alive at 70-64 with five minutes remaining. Schortsanitis put a reverse layup in, but Gonlum responded with free throws. Tyus’s tip-in and another Pargo-to-Randle alley-oop dunk made a 10-point lead again. 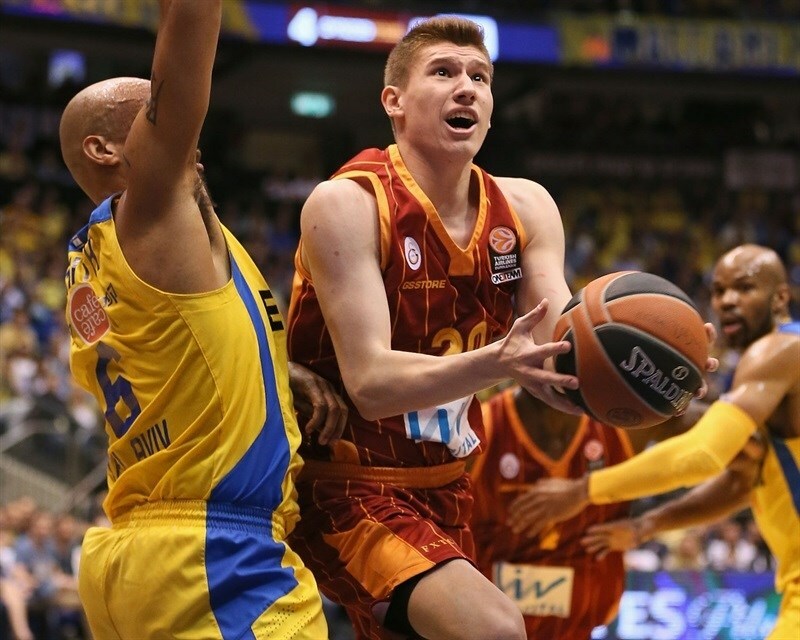 Pocius hit another three and showed Galatasaray would not give in without a fight, but time was running out. Tyus iced the game with an alley-oop layup and an offensive rebound and slam in the final minute. "Not a beautiful game that people want to see. We didn’t play well in first half, also in the second half offensively, we didn’t move the ball as we needed to. I don’t know if its tiredness or something else, but in the end the key was to win the game and I’m happy we did it. " "We started the game really poorly. Even though we stopped Sofo almost completely, Randle had his own private dunk contest and that was the worst thing that could have happened to us. 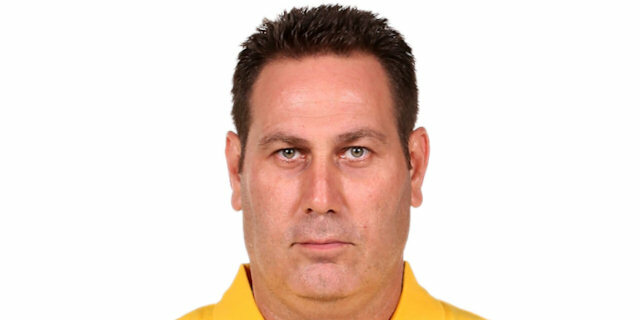 Then we crowded the paint, we stopped Maccabi’s running game, and they shot in poor percentages. We played a long time with our young players and I'm glad they got significant minutes and gained experience, but it’s hard to win here without a full roster. 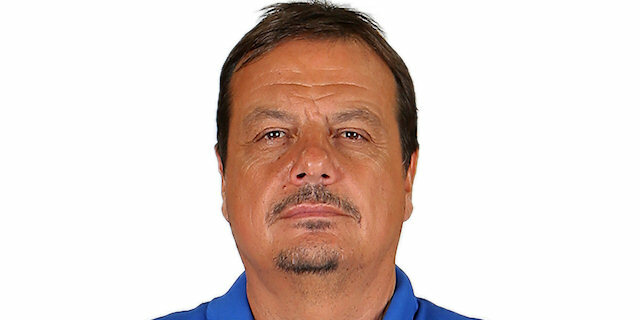 The Turkish League is more important to us right now and when I said before the game that we could not win, I was right." "The most dangerous teams are the teams without anything to lose, playing without any pressure. Galatasaray was playing without a few important guys, but we were playing to win, so that’s what we did. We have to continue to improve, even though it’s late in the season. We have to continue to work in practice and make everything more fluid. "